It's the classic 4-in-a-row game without the restrictions of the 2-D board. In fact, there's no board at all because you build the game as you go. 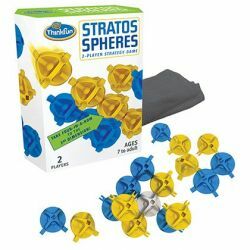 Using 3-dimensional spheres, carefully strategize and get four in a row in any dimension to WIN!